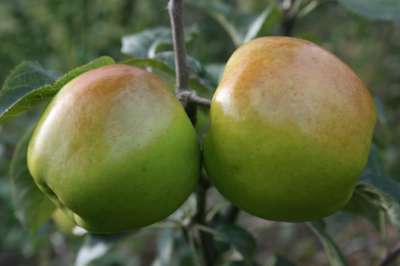 A new variety from East Malling. Compact fertile trees. The fruits are sweeter than many other culinary varieties. A good pollinator. The fruits are large, yellowish green with a brown/orange flush. Very heavy cropping. Stored fruits of Bountiful can be eaten as dessert in late winter.